One of the dopest groups on the east coast, but most of y'all never heard of them. One of the great lyricist once said " Ni**as with knowledge is more dangerous than Ni**as with guns, they make the guns easier to get and try to keep Ni**as dumb" - Talib Kweli. 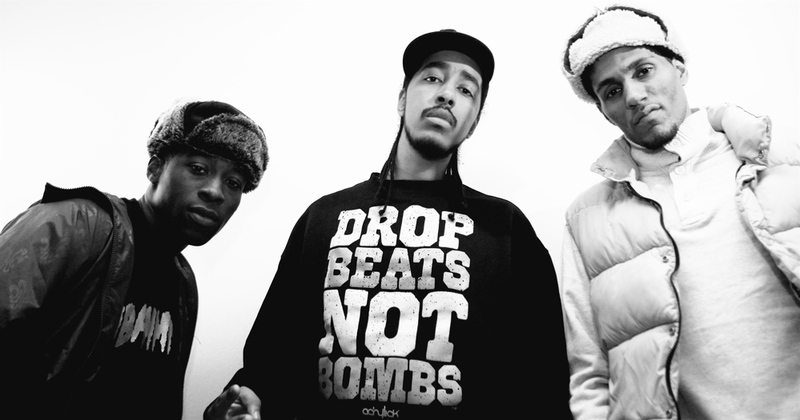 So now you no exactly why your may not have heard about this dynamic trio, their lyrics make you think. Diamond District was once the last of a dying breed of woke HipHop Emcees, but thanks to rappers like Kendrick Lamar, J. Cole, and Joey Bada$$ REal HipHop has chance of overcoming our obvious low standards of today. A lot of us say we want change but don't support our local HipHop artist who's raps are filled with inspirational lyrics that represents the community. Okay enough of the soapbox rant, make sure you checkout the video below.